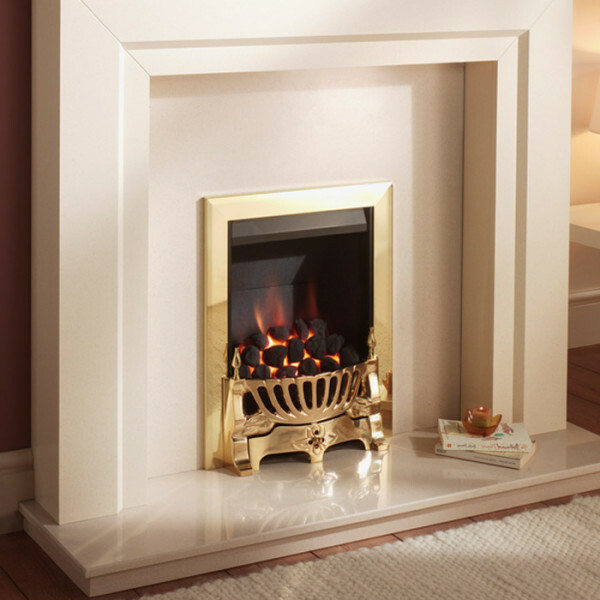 The Crystal Slimline inset Gas Fire is a natural gas radiant fire with a Menora fret in a brass or chrome finish. The Crystal Slimline gas fire offers a choice of coal or pebble fuel effect, and is available with manual or remote controls. The Crystal Slimline inset gas fire has an output of 3.9kW and is suitable for Class 1 chimneys, Class 2 pre-fabricated flues and pre-cast flues.